While looking for good hosting for BikeGremlin, I read and compared hundreds of web hosting offers, read hundreds of reviews etc. Here I’ll explain what kind of “hosting catches” are used – what to look (out) for when viewing and comparing various web hosting offers. Separate post explains what types of web hosting exist, with pros and cons of each. I won’t be explaining basic terms (RAM, CPU etc. ), just their importance in terms of web hosting. Few pictures – just easy to look up facts and info – so You can discern what is what when looking at hosting offers that are full of marketing, catch-phrases and hidden fine print. Important note: given values for sufficient RAM, CPU etc. are given for orientation/comparison. They will certainly do for a new website – just starting. For existing websites, the safest way is to measure those with your current hosting, to know how much You need (based on what is used currently and what are the “bottlenecks”). Disclaimer: I am by no means a web hosting expert. All the info given here is: “the way I have understood it and experienced”. Take it all with a grain of salt (just like everything else you read/hear/see). How many (virtual) CPU cores are available for the package (or for one user sub-account with reseller hosting). This is often not specified, especially with shared hosting offers. Modern websites (WordPress for example) usually use a database and their page content is dynamically generated for each visitor. This puts a lot of load on the processor. If the website gets lots of visits and/or isn’t well optimized, what can happen is that hosting provider warns You of that fact and urges/forces You to get a more powerful (and more expensive) hosting package (with them, of course). 0.5 CPU cores (1/2) is sufficient for a mid-visitor number (size) WordPress website (unless it’s poorly optimized). How many GB (Giga Bytes) of operating memory is at your disposal. For some projects/applications, amount of RAM is crucial. For “ordinary” website it is similar to CPU (just like written above, only for RAM). 0.5 GB of ram will suffice for a mid-sized WordPress website. How many Mb/s (Mega bits per second) of disk input/output (read/write) is available. That is how fast are the scripts allowed to write/read data on disk. Most of the time 1 Mb/s is sufficient (for small and medium “sized” websites), but if there are many visitors at one time, or if a search of a large database is performed (for example), then it is nice to have more I/O capacity (5, or even 10 Mb/s). If a website is used for video streaming, it will require more I/O capacity. Large I/O also allows all the scripts to run faster. 1,000 Mb/s suffices for a medium WordPress website. Copying 1,000 files of 1 KiB size takes 1,000 IOPS and uses 0.97 Mb of I/O. Copying 1,000 files of 16 KiB size takes 1,000 IOPS and uses 15.6 Mb of I/O. Copying 1,000 files of 17 KiB size takes 2,000 IOPS and uses 16.6 Mb of I/O. Sequential read/write of one 16 Mb size file – 1 IOPS and 16 Mb of I/O. To read/write many files of very small size, IOPS is more important (the higher it is, the faster the operation will be done). To read/write a few very large files, I/O is crucial. In practise, You aren’t likely to get high IOPS without a high I/O, while reverse is not unheard of (depending on storage media and implementation). For an average website (unless it’s video streaming one), IOPS is more important. 1,000 IOPS of 16 KiB is good for a mid-sized WordPress website. Each (PHP) script executed uses one entry process. The process is “taken” by the script until it finishes its execution. Most scripts take about a second to finish their “job”. For a WordPress website, one visitor “opening” one page will run at least one PHP script, taking up one entry process until the script has finished (about a second). If there are more visitors viewing the website, there’s little probability that they will all try to open a new website link at the exactly the same second. However, for high number of visitors, or if the website has some scripts that take more time to execute, it helps to have more entry processes. The same goes if there are several websites hosted on the same account. 5 entry processes is usually fine for mid-sized and optimized WordPress website. How many GB of disk space is available to You. 2 GB is more than enough for most mid-sized websites, unless streaming some videos etc. Total number of files and directories that you can upload/create. Each file and each directory takes up one iNode. 100,000 is enough for a mid-sized website. How much data You can upload and download from the account. It is expressed (and measured) in GB per month. All the traffic is metered here: whether You are uploading an image/video to the website, a visitor is viewing text and pictures – all the bandwidth. Unless video is streamed from website, 50 GB per month is enough for a medium sized website. For most “normal” websites, even if they get enormous number of visits so that bandwidth could become a problem, other resources will have already been overloaded (CPU, RAM, I/O, Entry Processes…). If you wish to host more than one websites on the same account, You’ll need it to have the appropriate number of max-allowed domains (or “Add-on domains”, depending on how You wish to implement them). Like: example.com and working.com on the same account. This is sometimes listed as the number of “websites”. Same goes for any subdomains You (intend to) use. Like bike.bikegremlin.com and bikegremlin.com (Serbocroatian website version). Parked, or Alias domain is a domain that points to another, “main” domain on the hosting account. Say examples.com points to example.com – a blunt example. 🙂 “Parked” (alias) domain will not get a directory, or any files (like addon and subdomains), You will just get to set up where it redirects. Note: providers often advertise that when You set up an account, You get a “domain for free”. What does this mean? Imagine You are making a new website and want to use (register) a domain name: somenewsite.com. Hosting provider that gives a “free domain” will register that domain for you for free, but only for the first year (and usually only if you pay for hosting at least one year in advance). What is wrong with this? Further renewals of domain registration will be done through the hosting provider, at prices that might not be competitive. If You ever wish to change the hosting provider, current one will not give You the control over the domain (somenewsite.com) until You pay what they ask (usually double the price of yearly domain registration). Don’t register a domain name through a hosting provider, even when that is “free”. For domain registration I use and recommend Namecheap (affiliate link). Maximum allowed number of databases per account. Each WordPress website needs one database. If you are using any plugins, or applications that need their own databases, You will need more databases, of course. Same goes for any added domains and subdomains: if You install anything that needs a database on a subdomain (another WordPress website for example), You will need another database for it. Number of allowed E-mail and FTP accounts created. Don’t think this needs any more explaining. Which user control panel is available (installed) for website and account maintenance (so You don’t have to type Linux commands for configuration). cPanel isn’t free, but it’s probably the best – it’s become an industry standard. I personally avoid hosting providers that don’t offer cPanel. Check if cPanel is installed and included in the price, or at least find out how much it will cost you. Is the free SSL / TLS certificate provided (by Let’s Encrypt)? Or at least check how much it costs to get it. That’s a must for any website today in my opinion. Tools for filtering and elimination of SPAM. If it’s provided, there’s a higher probability that hosting provider takes care that their IP addresses are not on SPAM blacklists, so that You won’t have problems with e-mail delivery. Note: SPAM filters can also be a double-edged sword – read more on my problems with e-mails. Many hosting providers offer a lot of additional features. They mostly serve marketing (unless You know that some of them are important for the intended use). Good quality backup solutions (copying backups to a remote cloud server) cost. Providers often offer some free backup solutions, which is nice, but You must have your own website backups. Possibility to connect your website with Cloudflare (free) service through cPanel. You can set this up manually – so it’s a nice feature, but nothing that would make the difference when choosing hosting (unless all else is the same). Software that allows easy, one-click server application installations – from the cPanel. For the less tech. savvy, this can be a useful tool (even for the knowledgeable it saves time and hassle). Yes, good quality SSD is much faster than a hard disk. What You should be concerned with are I/O and IOPS perfromance that hosting package offers. 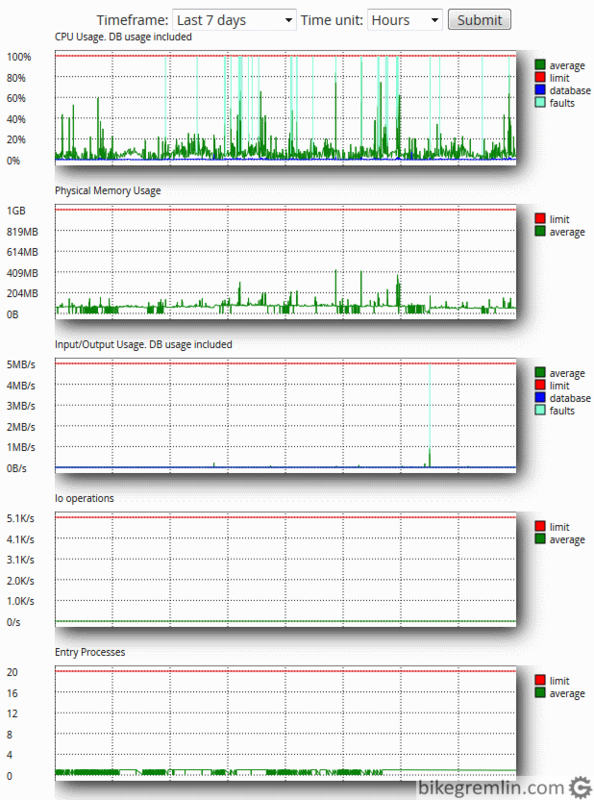 If hosting provider offers high I/O and IOPS using hard disks – fine. On the other hand, if those values are not provided and (in and of themselves fast) SSD-s are crowded with a lot more users, it might end up performing slower than a properly set up server with “ordinary” hard disks. Don’t fall for marketing, check (and, later, measure) performance. Super solutions for improving website performance, especially those that use a database (like WordPress). While MariaDB is free (open source) and tends to become a standard, LiteSpeed is very expensive. However, with good server hardware and proper setup/management, similar results can be achieved without paying the premium price (takes a bit more time, knowledge and experience from those who manage the server). Again – don’t fall for marketing: Your concern is the performance, stability, reliability (and price), not how provider achieves that. It enables better virtualization, resource division and limitation per cPanel, when more users are sharing one server – like shared, or reseller hosting, or if one VPS/dedicated server is set up with several cPanel user accounts. Here goes the same as for LiteSpeed above: it’s great, it costs, everything can be set up properly even without it (it is just more hassle for the hosting provider), so I wouldn’t turn down good hosing just because they don’t use CloudLinux. This part is usually written in fine print, away from the first page with offers. Read on (or don’t 🙂 ). If You have a (relatively) simple installation of one website on a cPanel, or several websites that each have their own (separate) cPanel, hosting provider will move and set up the websites on the hosting package You have bought (rented) from them. Even that only for a limited number of websites (10, or 30 – do check). Anything beyond that costs a lot (or You could hire a freelancer to migrate the websites, or, even better, learn how to migrate Your own website – tutorial for website migration). Guarantee that Your server will be functioning (and have a working Internet network connection). Usually given as a certain percentage of time per month. 99.9% of the time and similar. For every (full?) hour of server downtime beyond that (read SLA and check all the fine print) You will be compensated a certain amount of money, usually up to the amount of your monthly hosting fee. So: “Guaranteed 99.9% uptime, and we compensate 10-fold for each hour of downtime!” Sounds good? How does that look in practice usually? January has 31 days, that is 31 * 24 hours = 744 hours. Up to 1 hour of server downtime gives over 99.9% availability. If hosting costs 30$ per month, one hour is around 4 cents. If Your server is down for 10 more hours You will get whole 4 $ discount off your next hosting bill. Sometimes, only if You request and provide downtime evidence. And only if the downtime wasn’t caused by Your website problems. This is why it is important to choose good hosting providers – if website functioning is crucial. TOS (Terms Of Service) and AUP (Acceptable Use Policy) are best read before paying for hosting. An example of TOS and AUP documents by Veerotech hosting in this case. Also check what kind of support you can expect (“Support scope”): example of support scope from MDDhosting. When You choose a hosting provider, read their TOS and AUP documents – slowly, patiently, paying attention to all the details. There it is precisely defined what You can and can’t do and what kinds of services can be expected, under what conditions. Some hosting providers have strict rules. This isn’t always a bad thing: since those rules apply to all. I have used services of a “liberal” hosting provider and was never happy with server performance: when everyone can do as they please and overload server resources, then no one gets good performance. Definitely get acquainted with all this, so there are no unpleasant surprises in the future (“Why did they terminate my account?!”). Note: none of these conditions are neither good, nor bad in and of themselves. It mostly depends on how the hosting provider manages the servers and how many users it puts on one server. Though it’s good to understand what they mean, so there’s no confusion, or unrealistic expectations – this goes especially for “unlimited” and “unmetered”. I often read how “unlimited” hosts should be avoided. This is not correct. Only bad hosts should be avoided. As I explained below. It should be clear right away: nothing in the World is unlimited (except human stupidity and the universe, though I’m not sure about the latter one). In other words: “There is no memory that human stupidity can’t fill up.” – my father, computer communications engineer. So what does the “unlimited” mean? Let’s take disk (storage) space, it’s simplest to understand. So: a host offers You “unlimited disk/storage space”. What does this really mean? Read the host’s TOS and AUP. With an overwhelming majority of hosts this actually means: “all the space You need for your website and all the files the website uses”. But: You can’t use the space to store backup files, or non-website related files (like your picture collection if it’s not shown/used on the website). Often You can’t even store many large videos for download/streaming even if they are used on the website (check TOS) etc. In plain English, unlimited means: “whatever amount you need for sensible use”. Though, since people can be complicated and common sense is a scarce resource, it’s all written down in TOS and AUP – for protection of both the hosting company and the customers. Vast majority of websites fit into 1 GB of space, or less. A very small percent needs more than 100 GB. That means that a disk of 4.000 GB (4 TB) can host around 3.000 websites on average. We know how much a disk costs, how long it lasts, so we “break” that cost to the projected number of users. If we don’t let the users abuse space and store things that are not planned for, our projection will be correct (there’s always some reserve allocated, but it’s never tenfold). Stating “unlimited” is very good for the marketing. It also leaves users carefree – to just store as much as they need for their websites – unless they are trying to abuse the resources, of course. Analogy with a hotel restaurant: if a buffet is offered, guests can eat as much as they can, but can’t pack the food and carry away. Also, if all the guests agree to all eat only one type of dish for as much as they can (it is unlikely that all the people will prefer one kind of meal), they can’t reasonably expect that dish to be sufficient for all, even though it’s an “eat all you can buffet”. Same analogy goes for all the other resources listed as “unlimited”. To clarify from the start: good hosting providers meter everything. The business is based on the law of large numbers and statistics. Also, to make sure that servers work properly, it is important to oversee/meter all the elements and users – so that any problems can be spotted in time and/or prevented. Hosting provider offers 15 GB of disk (storage) and “unmetered” number of websites. That means You can place as many websites as You like, but the storage space is the limiting factor. Similar goes for disk space. It can be “unmetered”, but with iNode number limited to 500,000 for example. So You can store 500,000 files size of 1 KB (and take 0.5 GB of disk space), or 500,000 files sized 1 MB (and take 500 GB of disk space). It can be said that “unmetered” is limited by some other resource (that’s why it’s important to know all the resources that a provider offers), while “unlimited” is limited by “common sense and fair resource use (… and TOS 🙂 )”. Finally, I’ll repeat: there are top class hosting providers that offer many resources as “unlimited”. Just like some top ones offer almost all the resources as strictly limited. Both limited and unlimited have their pros and cons. If you go to Google and type “hosting reviews”, “best hosting” etc, the first 10 – 20 ( 100? ) results will be paid/non-objective reviews (that is my personal opinion, belief, experience – without wanting to offend anyone). I can recommend digitalfaq.com (not mostly up to date, but it is one place where I found most good, knowledgeable advice with lots of good old common sense) and WebHostingTalk forum (like most forums – there are both objective and poor quality posts, of course). BikeGremlin hosting experiences and reviews. It would be perfect now to be able to say: “get this and that hosting”. If it were that simple, I wouldn’t have written a post this long. I’ll try to help as much as I can, but neither am I all-knowing, nor do I spend each day testing and measuring the service quality of each hosting provider (and it changes in time). Some of the links offered here are affiliate. Principle is simple: if the company I wish to recommend offers affiliate (commission for each sale made through my website) – great. If not – again great. The commission amount (or even existence) does not affect my recommendations (take my word for it – or don’t and do Your own research, based on the advice given here). Hetzner – for VPS, or dedicated server – for those who need a Europe based server. Knownhost – for VPS hosting. MDDhosting – for shared and reseller hosting. Veerotech – for reseller hosting, with a note that if Your website isn’t in English, read what e-mail problems I’ve had. I’m not claiming that these are the best, or the only good hosting providers, just that (based on all the research, asking more experienced people for advice, hearing first hand experiences etc.) I came to a conclusion that they would work for me – depending on which type of hosting I’m looking for. Specifics of each hosting type (shared, reseller, VPS, “Cloud”) are explained in the post: Types of web hosting. If You have a website that is already up and running, You can measure/check how many resources it uses, so that You know how much is enough/needed. Here I’ll explain how that is done using cPanel (with a note that it’s good to use Google Analytics tool for stats about website visitors, traffic, performance etc). 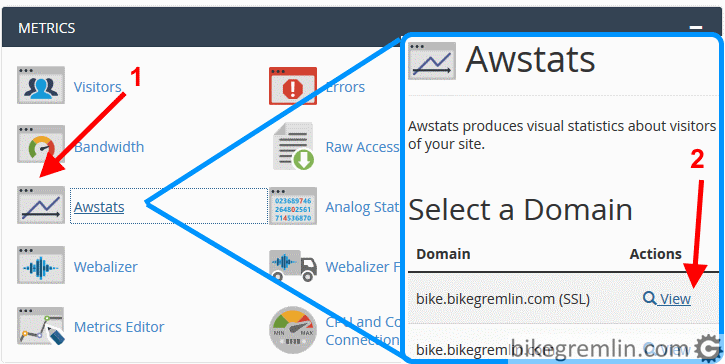 Open the tool “Awstats” from the cPanel and choose Your domain (website). My website uses SSL (https protocol) so I’m choosing those stats (non-SSL “version” gets no traffic) – in the post about DNS and redirections I wrote how to make all the traffic use SSL/TLS only. There You will see if there is a day of month, or week and/or a certain time of day when Your website gets a lot more traffic (than usual). These bike.bikegremlin.com stats are relatively uniform. If You see that for Your website there is a time when the number of visitors peaks, write it down. Resources used at that time are the ones that are needed, so the website doesn’t “fall” at the peak visit times. From cPanel main menu You can also check the stats for bandwidth (click on “Bandwidth” option) and disk space used (click on Disk usage). Principle is the same, just note that bandwidth is limited monthly, while disk space is about how much space is taken now (should count with some extra space for future growth and some normal functioning). Now it’s time to see the usage of other resources, primarily: CPU, RAM, I/O, Entry processes. Again – do check the usage at peak traffic times, that usually gives the needed minimum of resources for website functioning. Hosting provider usually installs (or You could ask tech support) some tools for measuring the resource use. Picture 3 shows what that looks like with hosting I’m currently using. Besides current usage shown in the right hand column of cPanel, there is option to see the stats for the selected past period. Next screen allows for choice of the stats period and viewing the stats as graph and as a spreadsheet table. 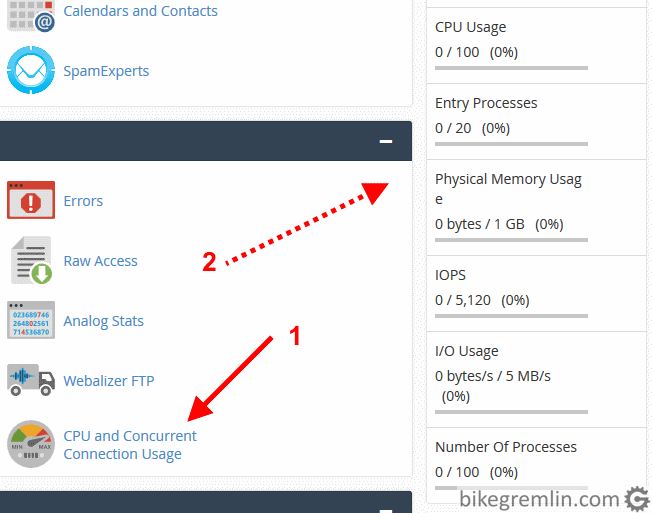 Picture 4 shows usage stats for bikegremlin website. Horizontal red lines are the (allowed/provided) resource limits. Picture shows that most resources are below 20% of max usage, except RAM (but that too is well below 50% most of the time) and CPU – it gets up to 100%, though for short periods, most of the time it is below 50% as well. Website functions without problems, with CPU hitting 100% when I do backups, or do a load test. Based on these stats, most resources from picture 4 could be cut in half, with the website still working fine – except maybe CPU. That’s all – hope it helps You choose the right hosting type and provider. It’s not the easiest/simplest task.